As we turned the southernmost tip of Portsea Island and began our walk towards Portsmouth, we came to the Portsmouth Naval Memorial. It is an impressive structure, situated on Southsea Common and surrounded by nothing but the common itself. The main coast road runs right in front of it. 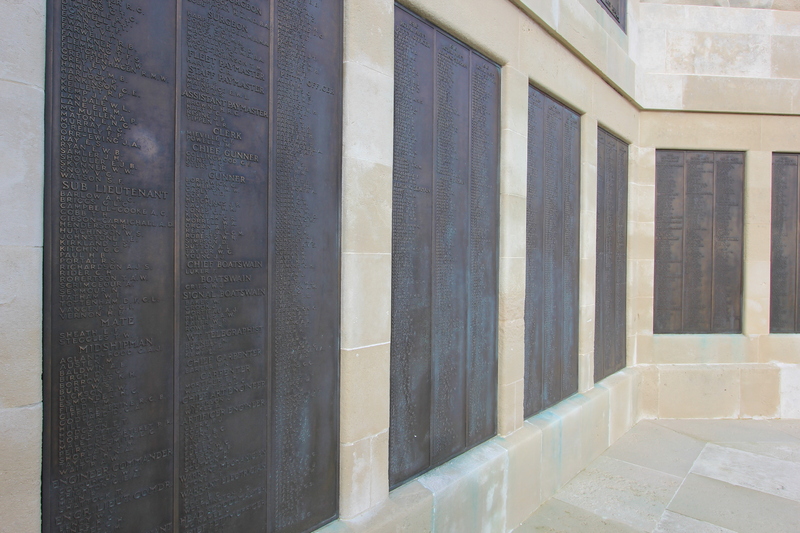 The memorial commemorates those sailors based at Portsmouth who were killed in both the First and Second World Wars. There are a lot of names here – 9,666 from World War One and almost 14,922 from World War Two. That is 24,588 all from just one port. 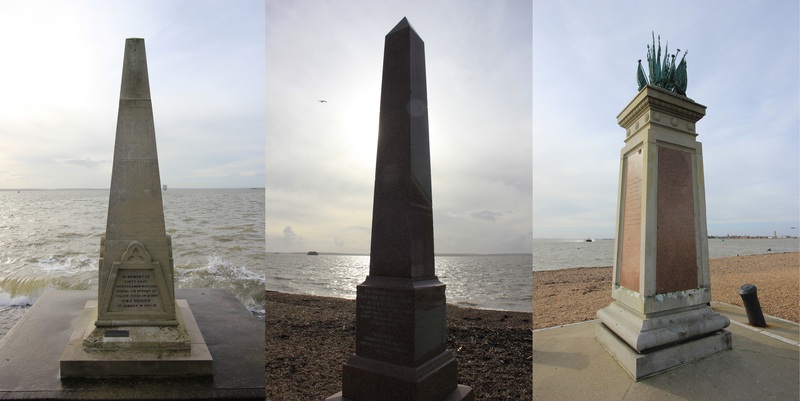 When the original memorial was unveiled here in 1924 there were similar memorials unveiled for the ports of Chatham and Plymouth, one for each of the three manning ports. The extension here, to commemorate those killed in the Second World War, was unveiled in 1953. As we walked along the sea front is became very apparent that we were approaching a naval base with significant maritime history. Memorials were dotted along the way, commemorating not only those who died in battle but also other tragedies, particularly yellow fever outbreaks. 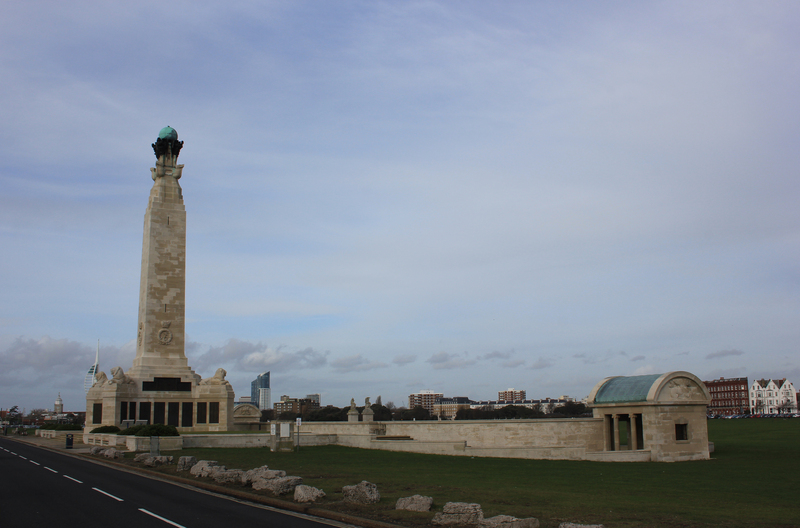 Here are the Aboukir, Trident and Shannon Memorials, all of which stand close to the Portsmouth Naval Memorial. This entry was posted in Hampshire, Islands and tagged coast, Hampshire, memorial, Portsmouth Naval Memorial, southsea, travel, walking. Bookmark the permalink.